1. “Watch Your Mouth” We’ve all heard “Insider” church language referred to as, Christianese. What amazes me, is how prevalent it still is in the 21st Century church in America. Recently, I heard an example of this when someone described worship as, “Singing unto The Lord”. Seriously? “Unto The Lord”? When was the last time you heard the word “unto” used outside of church? “Please excuse me, I need to go UNTO the bathroom to throw up”. This is just one example of how epidemic this problem is for too many Christians. Christianese confuses those who are unchurched and clearly communicates, “You’re not one of us. You don’t belong here.” If you’re wondering about possible other Christianese words you can eliminate from your vocabulary so you can “Keep It Real”, check out a pretty good list HERE. 2. “Word Up” So much of Christian sub-culture has nothing at all to do with Scripture. I believe every pastor and church leader should be prepared to answer the question, “Where is that in the Bible”? If they cannot, perhaps it time to find what is clearly in Scripture and “Keep It Real” by living that out instead. 3. “Keep The Main Thing The Main Thing” The reality is, as Ed Stetzer recently said, unchurched in America, “lean heavily Democrat. So—and I know it’s just me talking crazy now—if you want to reach the unchurched, maybe constant Facebook/Twitter posts about how stupid Democrats are might be a bad idea.” It’s just crazy how much political posturing comes from pulpits Sunday after Sunday. Perhaps, Jesus Christ should be at the forefront of our church gatherings (and social media posts) rather than Washington DC. For more on this subject, including some insightful statistics to back up this claim, check out Stetzer’s post “Politics, Social Media and More Important Things“. 4. “Every Rose Has Its Thorn” There’s something terribly dishonest and disingenuous if all we every share with others is our victories and successes. It also paints a very unrealistic and unbiblical picture of the Christian life. Scripture is the story of God working in and through the lives of ordinary people who have hurts, hangups, dysfunctional families, fears and struggles to accomplish His incredible purposes. Christians today are the same kind of people. 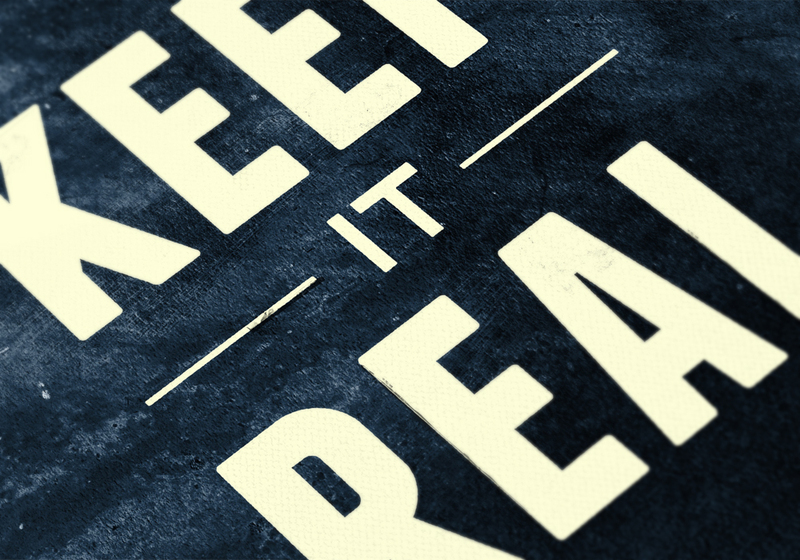 It’s important to “Keep It Real” and share not only our highs but also our lows with others. These are just a few suggestions that might help us, as followers of Jesus Christ, “Keep It Real”. What would you add to the list?